We’re teaming up with Canadian photographer Brandon Born to give away two of his prints featuring incredible Canadian landscapes. As an Alberta-based photographer, Brandon loves adventuring in the great outdoors, capturing the natural beauty of Canada, from the Northern Lights to the famously picturesque backdrops of Banff National Park. “I chose these images for the giveaway prints because I wanted to share the simpler scenes that we see in Canada. Both day and night we are blessed with beautiful light and colour. It’s not a necessity to travel to Banff or Algonquin to see a spectacular scene. Simply stepping out into your backyard or driving out of the city a little ways will take you to a marvelous location. You will be astonished by all that Canada has to share, from the mountains, to the coastlines, to everything in between. I have been fortunate enough to have travelled all around North America and many other parts of the world, but something has always brought me back to Canada. The colours, the smells, the people: Canada has something that nowhere else does. It’s this ‘something’ that I want to share with the world and motivates me to keep on capturing the beauty that surrounds us. Whether it’s the mountains in Banff, or the auroras that light up the night sky, I want to use my camera to show the world what makes Canada such an incredible country. I first printed with the London Drugs Photolab 3 years ago and was extremely impressed with how accurately their aluminum metal panels showcased my images. It was a great way to share my work with those around me. If the walls of your home are looking a bit bare, fine art photo prints, such as aluminum metal panels, are a creative way to spruce up your space. The durable, high-gloss and fade-resistant surface brings images to life, making them a statement piece in any room. Brandon will be drawing two giveaway winners on his Instagram account at noon MST on June 29th, 2017. Each winner will receive one of Brandon’s prints on our aluminum metal panels. The first draw winner will receive a 24×16 aluminum metal print of “In Awe”, a self-portrait image of the northern lights in Northern Alberta, and the second draw winner will receive an 18×12 aluminum metal print of “In a Field”, an image of one of the spectacular Albertan sunsets that captivate onlookers throughout the summer. See more of Brandon Born’s work on his website or on Instagram. For landscape photographers seeking out new and dynamic ways to showcase their images, aluminum metal panels offer a unique perspective. The striking, high-gloss quality of these prints and their resistance to fading set them apart from any other type of print surface, making them an attractive choice for photographers. 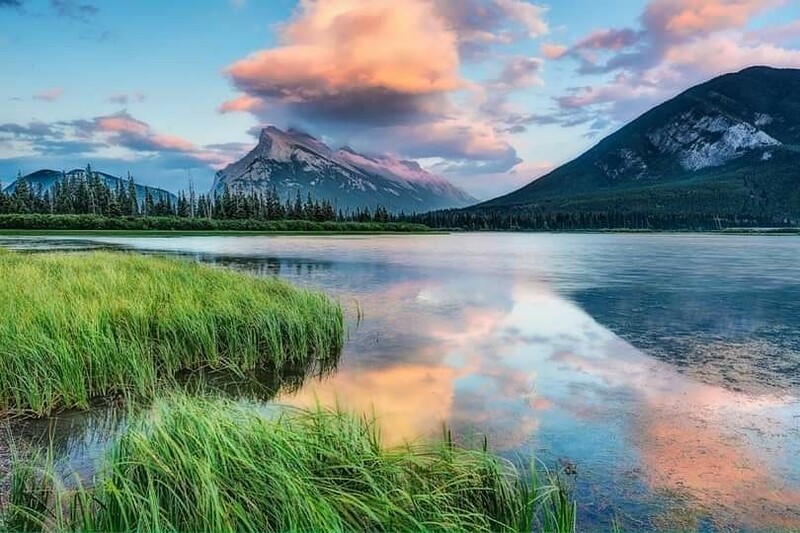 The coated aluminum sheets are infused with dyes that can make any image, especially detailed and rich landscape photos, come alive with vibrant colour. As the popularity of aluminum panels has grown in recent years, the London Drugs Photolab has expanded the availability of its metal printing technology from just one location to now several Photolab locations with the special presses necessary to create the prints on-site. Photographer, Stacy William Head recently opted to print one of his favourite photos of Moraine Lake on aluminum for the first time with London Drugs. Below he shares his first impressions and why he plans to print on aluminum in the future. I’m a landscape photographer based in the Canadian Rocky Mountains of Alberta, Canada in a small area known as Crowsnest Pass. My work usually incorporates long exposure techniques to create images that convey a sense of depth along with the passage of time. I enjoy exploring and photographing the area I live in as well as the National Parks that are close such as Banff, Jasper and Waterton. This is probably one of my favorite shots I have taken. The optimum conditions lasted for less than five minutes and was taken with long exposure of 159 seconds to give it that surreal feel. I have wanted to get the clouds like this for a while at this location. Even though it’s a very popular destination – probably the most photographed location in Canada – it’s still a great feeling to capture your own moment to call your own and hopefully convey to others the feeling of this experience. I really love the fact that the aluminum prints from London Drugs are both lightweight and very durable. Aluminum allows me to display my photos in vibrant color with a gorgeous contemporary aesthetic that will last for a lifetime. My photos are sometimes rich in colour and I like to try and create surreal feel in them through long exposure – the glossy aluminum really adds to this effect much more than paper or canvas prints can. 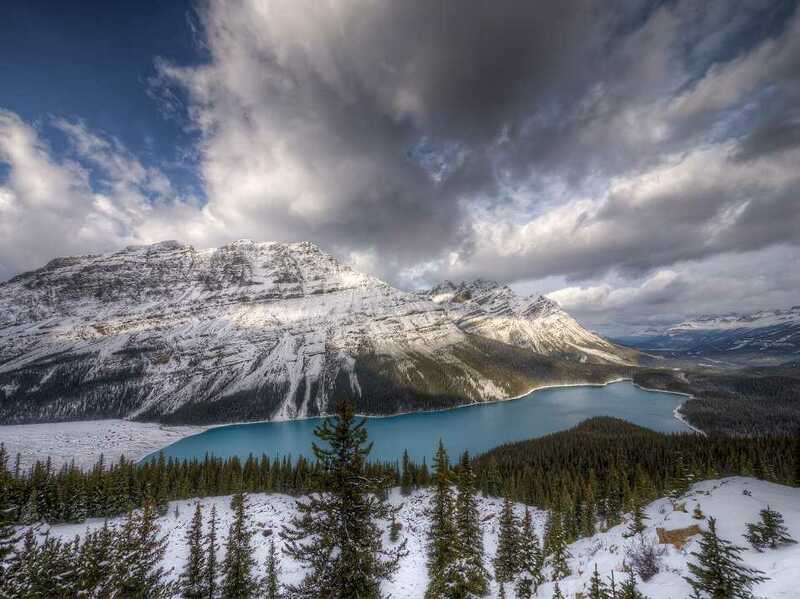 Above: Moraine Mist photo by Stacy William Head, printed on an aluminum metal panel at the London Drugs Photolab. To learn more about London Drugs’ selection of print textures and finishes, click here. See more of Stacy’s work on his website or on Instagram. Choosing the right surface to display your photos on is just as important as capturing the right moment on your camera. More and more photographers are opting to print on aluminum panels due to their durability, resistance to fading, and their glass-like luminous quality. The London Drugs Photolab has been printing photos on aluminum metal panels since 2014, and has recently added larger sizes to the range of printing options. Photographer, Larry Hilderman has printed several of his photos on aluminum at London Drugs, and offers some insight about why he uses the medium to showcase and sell his photography. I have worked in the photographic industry for 35 years on the technical side. Starting with friends and family, and then growing through word of mouth, I have been fortunate to sell images to clients across Canada. As a landscape photographer, I have had great success using aluminum panels to showcase my work. The smooth glossy surface of the panel shows great detail of the photograph. Colour gamut is not diminished with good saturation, the image has “pop” that has been very well received. Aluminum panels have a sharper look to them as opposed to paper or canvas prints, they have “depth” that is not normally seen on other media. This enhances the colour and contrast without looking artificial. This is best suited to subjects with more saturated colours – but I have had black & white images printed on aluminum that also looked beautiful. It must be the apparent contrast that enhances the image. As a bonus, the image is extremely durable and resistant to moisture which allows it to be displayed in high traffic areas and places with high humidity. I have had many requests for these panels and hope to sell more in the future! Above: Selected images from photographer Larry Hilderman, whose aluminum prints are currently featured in the Local Inspirations Artist Gallery at select Calgary Photolabs.